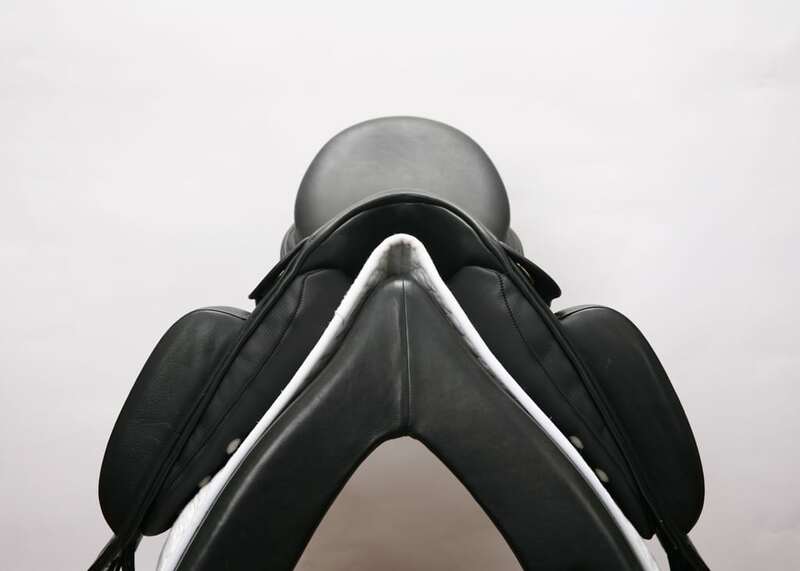 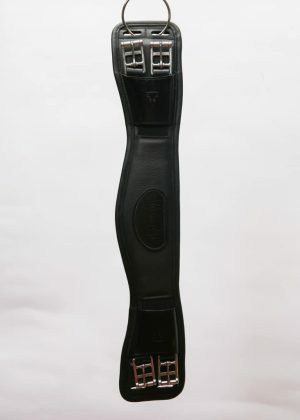 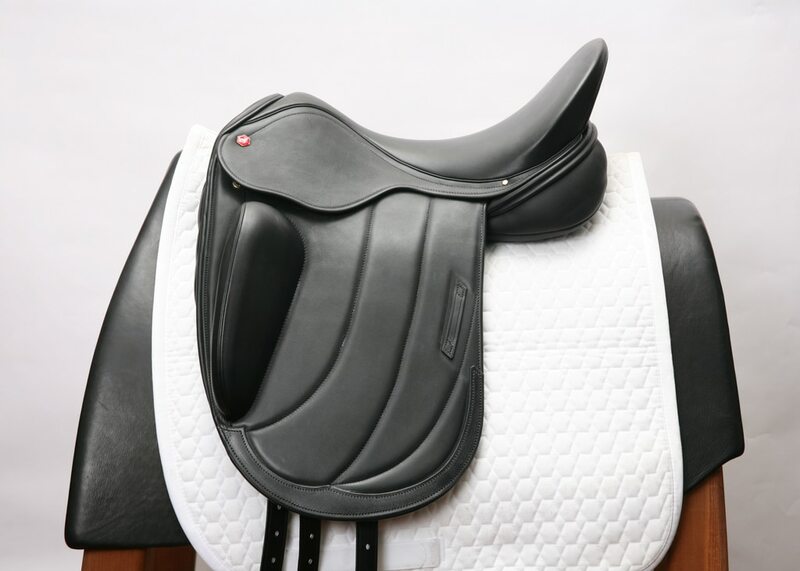 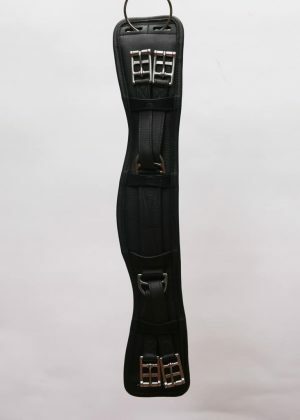 This is a beautifully styled, well balanced, monoflap dressage saddle. 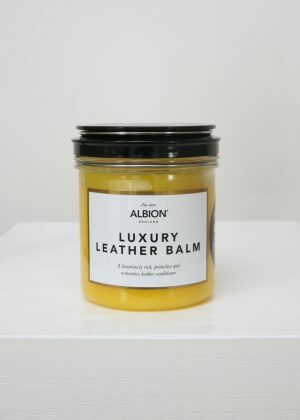 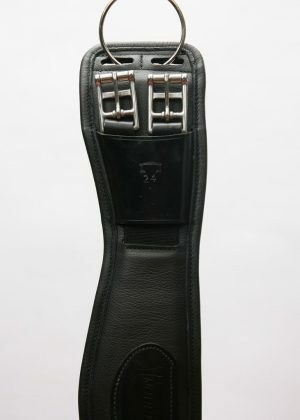 Sumptuously soft, close contact seat of hand-selected calf leather offers the rider additional comfort and stability. 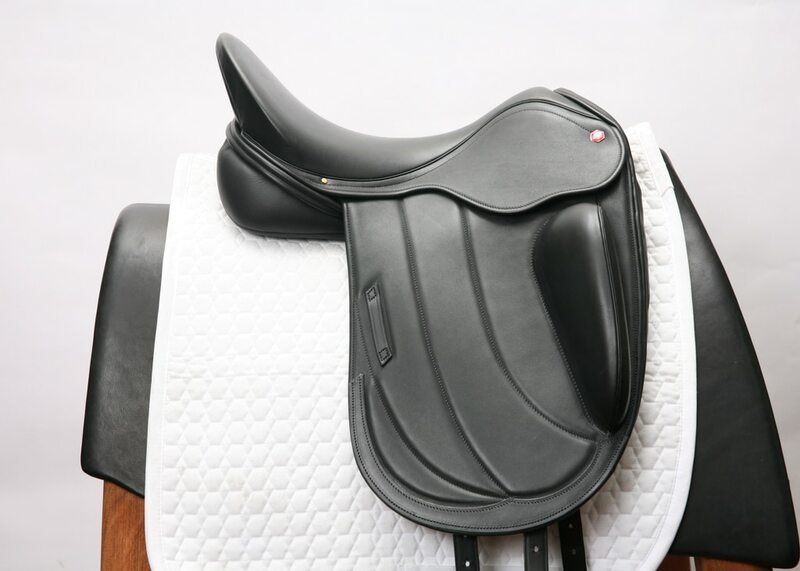 Narrower, slimmer cantle enhances the streamline look. 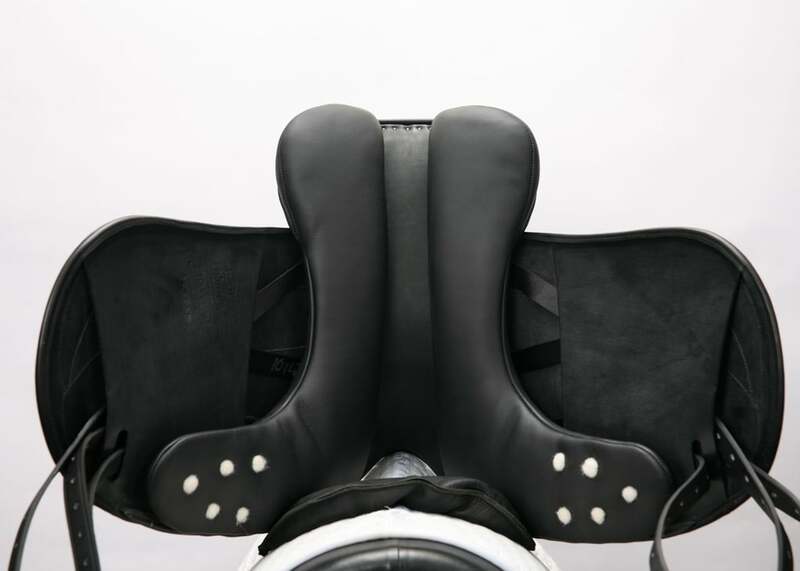 Exterior thigh blocks offer a supportive yet non-restrictive leg position. 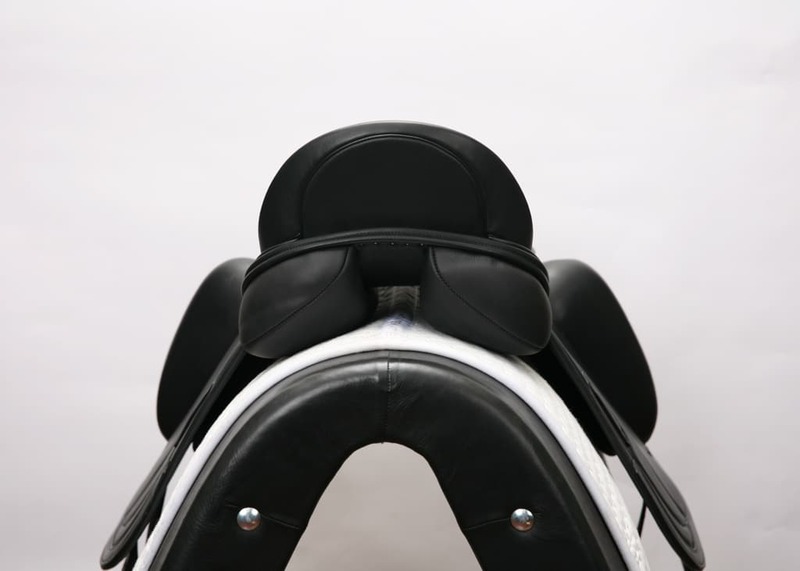 “Short Back Panel” ensures maximum shoulder rotation while reducing loin pressure. 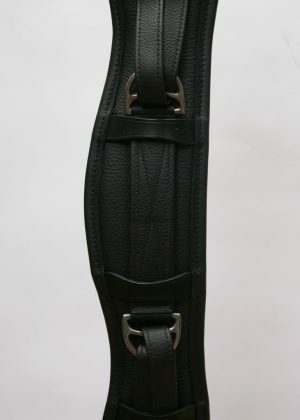 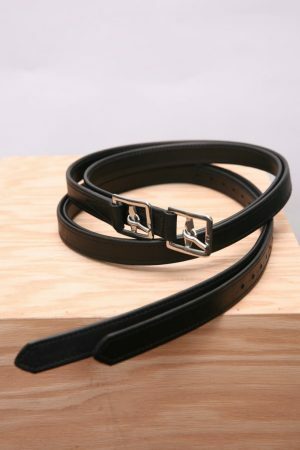 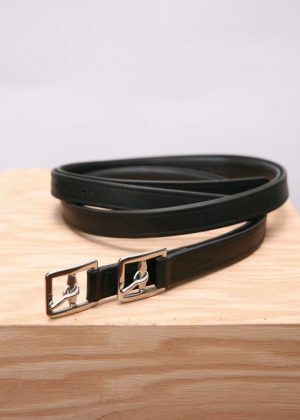 Billeting system incorporates a point strap, a strap behind the point, and V-girthing to provide maximum stability for the rider and even pressure for the horse.